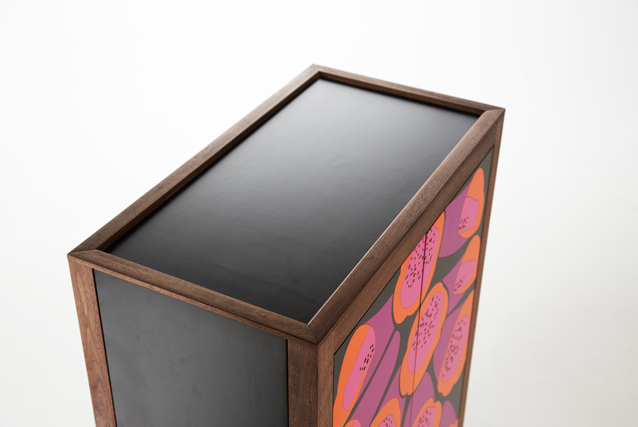 Solid walnut, Birch ply and Formica laminate. 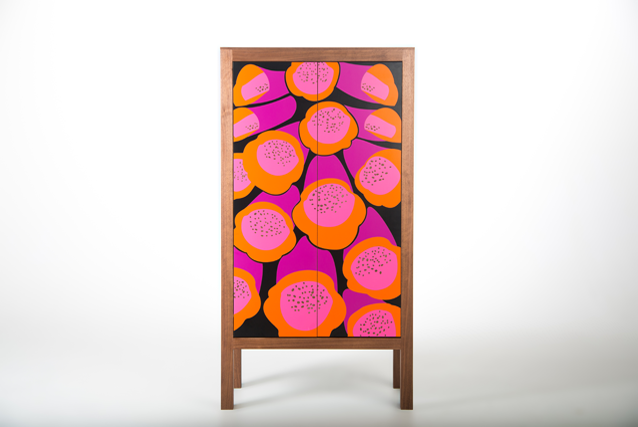 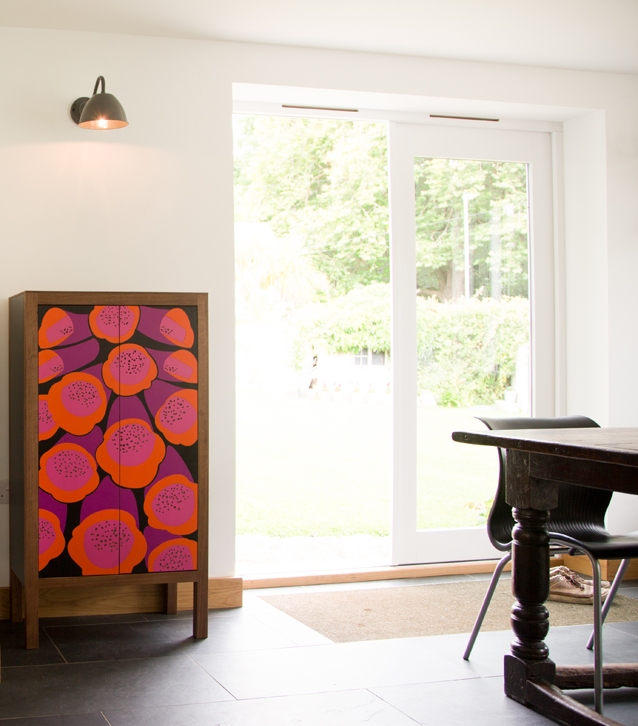 The Foxglove motif is cut out , etched and hand inlayed formica. 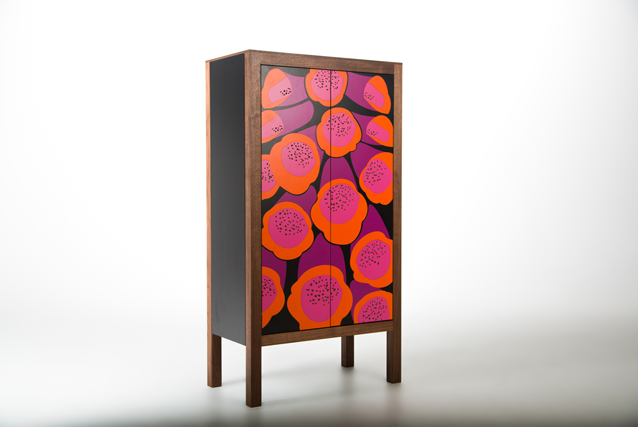 It is our own unique modern marquetry technique and craft. 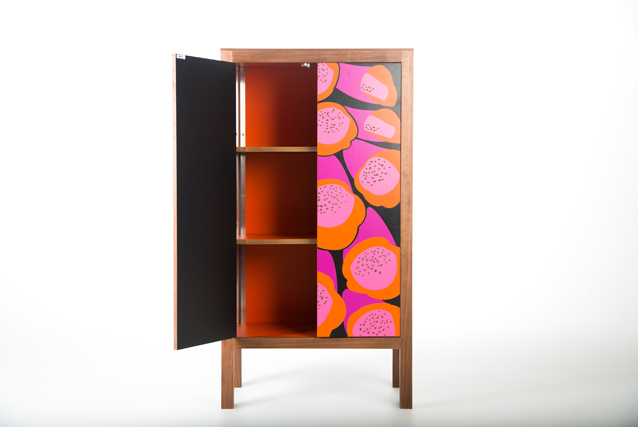 The doors have push catches, revealing a bright Clementine interior with height adjustable shelves .